There are few things I enjoy more than bumming around bookstores, so I generally prefer to pick and choose my knitting magazines from my favorite stores, rather than to receive them all via subscription. Recent events might force me to change that strategy a bit, though. 1) There’s an extra white stitch showing in the upper right quadrant of the lower snowflake. Column #9, Row #14 should be worked in the Main Color (MC), black. I haven’t been able to go over the text yet, but naturally, if you have any questions about it, please don’t hesitate to post any questions here. Once I finally get my copy, I’ll let you know if I find anything further. I hope you’ll get a chance to see the Fall 2011 VK; there really is an especially nice collection of stranded work in this issue! ETA: Now that I finally have the magazine in hand and can read their full text, I see they have a mistake in the text, too. Their row #’s are off by 1 in the “Beg chart” and “Crown shaping” sections. The first S2KP symbol on their chart is on the first st of Row 34. For it to be centered over that first st column, the text instructions should tell you to work it over the last st in Row 33 + the first & second sts from Row 34. Given the row #s in their chart, be sure to work straight through rnd 32, work to 1 st before the marker (at end of rnd) in rnd 33, then work your first S2KP decrease. ETA: Vogue Knitting has corrected their chart and published it on their site. The new chart is fine…as long as you begin your decreases one round earlier than indicated in the text of the original (printed magazine) version, as explained above. I’ve been told that the corrected chart and the corrected text will be in the upcoming PDF. 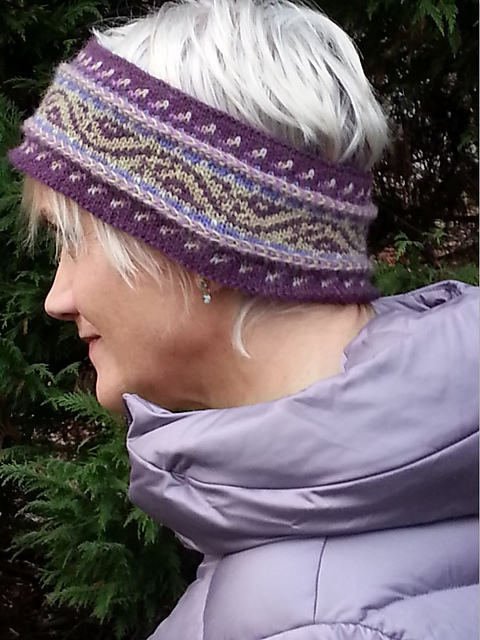 ETA: Link to PDF available for purchase through Vogue Knitting. This entry was posted in Uncategorized and tagged errata, fair isle, fair isle knitting, hat, norwegian kniiting, stranded, voge knitting. Bookmark the permalink.